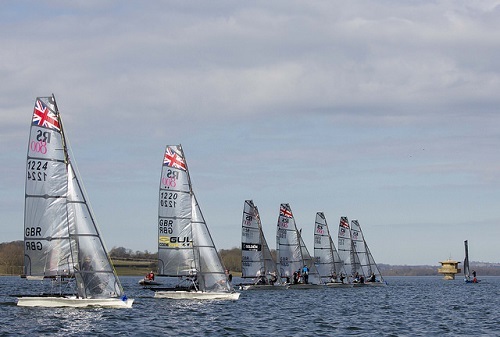 This weekend kicked off the 2018 Rooster RS800 National Tour with the Spring Championship at Rutland Water. Conditions at the start of Saturday were not encouragingly ‘Springy’ with persistent drizzle and not a puff of wind across the lake. Luckily our Race Officer was a wise young man and consulted the assembled skiff fleets and concluded that we didn’t have to go sailing unless some decent breeze materialised. So the RS800 sailors took station in the bar and awaited the 2pm decision that the day’s racing was canned. The fleet then split into some keen bimblers who headed for the dinghy park, the keenest beer drinkers who settled in for an afternoon watching the Boat Race and the rest who took up the challenge from ex-class chair Chris Feibusch to circumnavigate Rutland Water switching dinghies for tandems. 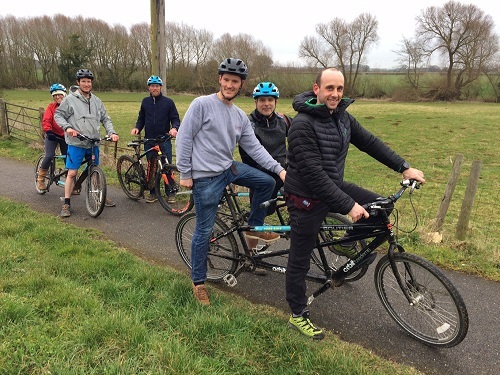 17 miles later and a fair bit of mud, Will Broom and Joe Joyner claimed themselves the winners by leading the home-straight run back to the bike hire shop. Along the way (only getting slightly lost once) we discovered that Rutland Water is set in beautiful countryside with plenty of gambolling Spring lambs to dodge. The fleet reassembled enmass for early beers and a tasty dinner laid on by the sailing club before heading for a cheeky extra beer or two at the Wheatsheaf before the clocks inconveniently robbed us of an hour’s drinking with the added knowledge of a 10am start on Sunday and a race officer keen to complete a series. The day’s sailing was in a light and shifty Northerly breeze but with some fabulous get-out-of-gaol-free gusts to be enjoyed if you were lucky. 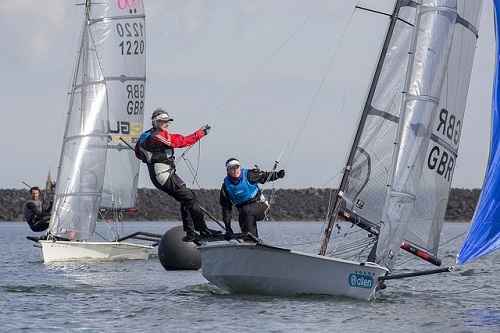 Ralph and Sophie Singleton demonstrated that it probably wasn’t all luck and that a little practice (including some great results on the Sail Juice circuit) during the Winter definitely pays off, winning 3 out of the day’s 5 races. Closest on their heels Will and Joe showed that their event win at the re-scheduled 2017 End of Season champs a month earlier was no flash in the pan, also claiming a race victory. Most races saw the lead change several times and the main pack finishing within a boat length or two of each other. Dan Goodman and Debbie Clark improved dramatically through the day to win the final race convincingly. The racing was run superbly by the race team in difficult conditions with minimal waiting around between races and courses set remarkably true to the continually shifting wind direction. The club was as welcoming as ever and by the end of Sunday it really did feel like Spring had arrived. 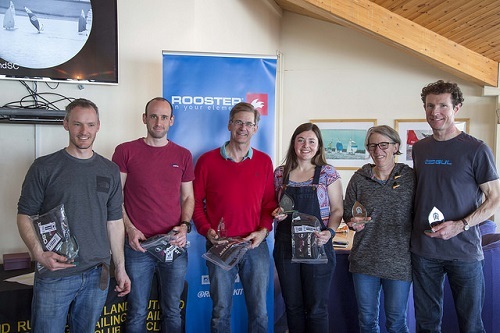 It is great to have Rooster onboard as our new sponsors for the 2018 National Tour; the top two teams took home snug new neck gaiters as did fleet newcomers Ben Clegg and Abi Kay. 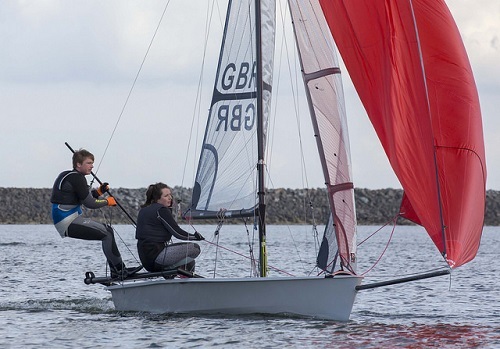 There will be more up for grabs at the next event at Stokes Bay SC on the 21- 22 April so shake off the Winter lethargy and get your RS800 on the road to join us there! 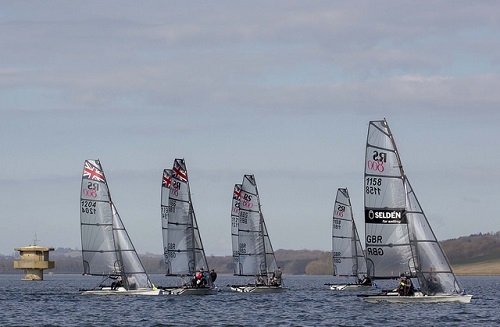 Before that, the European RS800 sailors are gathering in Lac du Der in the Champagne region of France for the French Open Skiff event over the Easter weekend.